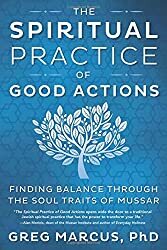 Mussar books are a great way to begin or expand your Mussar knowledge. True, Mussar is a practice and as such how we behave is key. However, book learning is important in order to teach us the key concepts and behaviors we should focus on. Here are some of the key Mussar books to help you on your journey. Note: this is a page in progress. We’ll be adding images, links, and reviews over time. These are great first Mussar books. They are also very good for ongoing Mussar practice. Click on any book to go to Amazon. 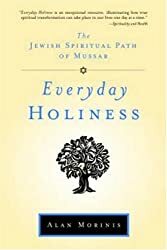 Everyday Holiness: The Jewish Spiritual Path of Mussar, Alan Morinis, Trumpeter Books, 2007. 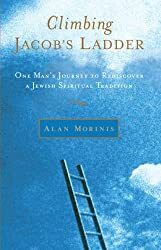 Climbing Jacob’s Ladder: One Man’s Rediscovery of a Jewish Spiritual Tradition, Alan Morinis, Broadway Books, 2002. A Responsible Life: The Spiritual Path of Musar, by Ira F. Stone, Aviv Press, 2006. Every Day, Holy Day: 365 Days of Teachings and Practices from the Jewish Tradition of Musar, by Alan Morinis, Trumpeter Books, 2010. This Is Real and You Are Completely Unprepared: The Days of Awe as a Journey of Transformation by Rabbi Alan Lew, Little, Brown, 2003. With Heart in Mind: Mussar Teachings to Transform Your Life by Alan Morinis, Trumpeter, 2014. Changing the World from the Inside Out: A Jewish Approach to Personal and Social Change, Rabbi David Jaffe, Trumpeter Books, 2016. Mussar Yoga: Blending an Ancient Jewish Spiritual Practice with Yoga to Transform Body and Soul, Edith Brotman, Jewish Lights, 2014. The Palm Tree of Deborah (Tomer Devorah) by Rabbi Moses ben Jacob Cordovero. Free HTML Version here. Pele Yoetz by Rabbi Eliezer Papo was published in Constantinople in 1824. Visit Peleyoetz.com, an amazing free resource. Rebbe: The Life and Teachings of Menachem M. Schneerson, the Most Influential Rabbi in Modern History by Rabbi Joseph Telushkin. Harper Wave 2014. Read a review here.